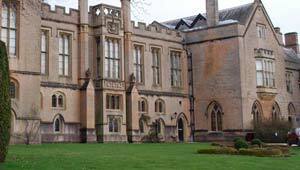 Newstead Abbey is the ancestral home of the poet Lord Byron and it’s an attraction you cannot miss if you’re coming to Nottinghamshire. The house and gardens are beautiful and to this day the house retains its medieval character. There’s also lots of evidence of the life of Byron too, who spent time at Newstead enjoying his life as a play-boy, lover, artist, politician and freedom fighter. There are two main aspects to your visit to Newstead Abbey, the gardens and the house itself. The gardens are open all year round and the House is open to the public at weekends. Private pre-booked tours can be booked at any time. Once inside you’ll see a collection of attractive Victorian rooms and Lord Byron’s private apartments. You’ll also see the desk at which he wrote his poetry and some exhibitions on Byron’s life. We particularly liked the one about his dog! As you’re walking around, it very much feels like a home rather than a grand stately country house – you can almost imagine yourself living there. In the extensive gardens, there are formal areas, a Japanese water garden, a huge stone-lined pool at the rear of the house and a children’s play area. You enter Newstead Abbey up a long winding access road through a dramatic entrance on the main A60 road. Car parking charges of £6 per car give free access to the parkland and the gardens. Pedestrians and cyclists pay a small fee too. The House hosts a number of events throughout the year, including the Byron Festival, Outdoor Theatre Season and Victorian Christmas. Newstead Abbey is 12 miles north of Nottingham on the A60. If you have a car, follow the A60 north from Nottingham until you see the gates of Newstead Abbey. Public transport is available in the shape of the Trent Barton ‘Pronto’ bus service which runs regularly from the Victoria Bus Station in Nottingham City Centre to Mansfield, stopping at Newstead Abbey Gates.